Rune Glifberg has been a legend in skateboarding for a couple of decades now. Rune is known for his hard charging aggression coupled with a subtle finesse that he developed in concrete skateparks. It actually all started for Rune in a skatepark, at the Faelledparken skatepark in Copenhagen, his hometown. On his spare time, he actually works at designing skate parks, especially in Europe with The Site Group, a skatepark constructor that has his hands over Asia, Europe and the USA. 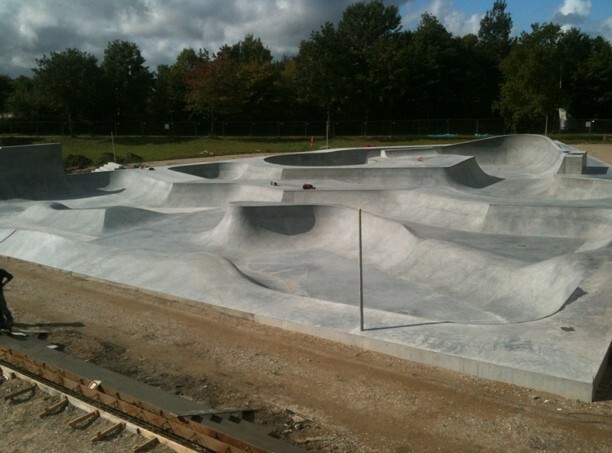 A couple of days ago, he posted a picture of a new skatepark that looks awesome. What we don’t know is where is that skatepark? Hopefully at a town near you… Lucky you!